"A Ford car struck by a light rail way train after dark, Feb. 1918"
that would make a great diorama. Even a very small locomotive is heavy. It looks like the T did pretty well, all things considered. I'll bet that that car ran again very soon. It is pretty unusual to have a car vs train collision where the car can be reused. 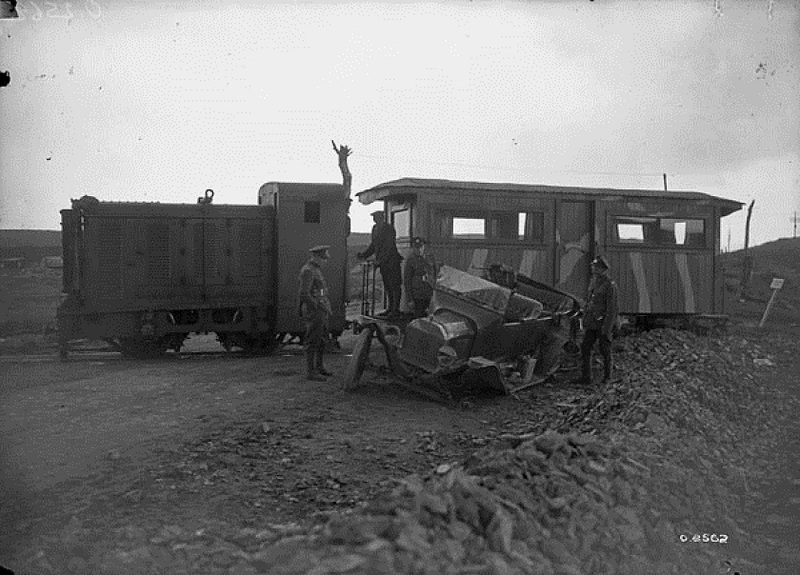 Here's another smallish train from the same theatre- this one belonged to the Kaiser, and unlike the Ford pictured above, it took the brunt of the damage! 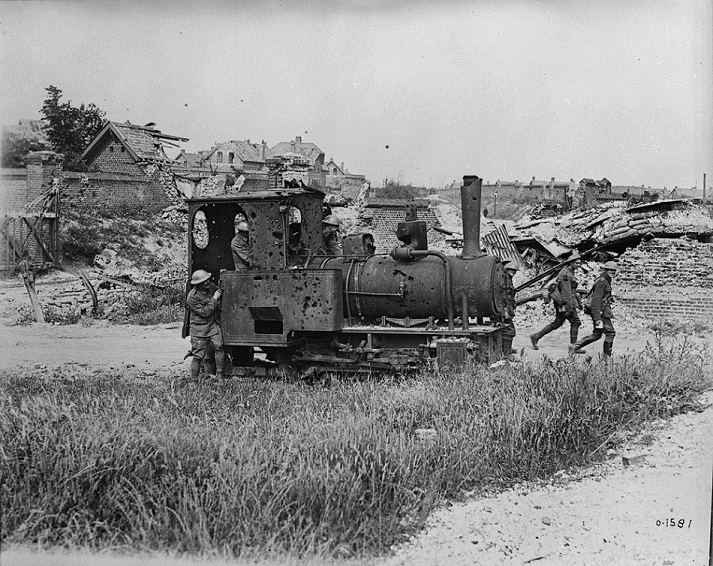 Captioned "German engine in a village recently taken by Canadians, July, 1917."